I came home to Venice for a bit and played a couple of shows and listened to the waves and ate Mexican food and watched the sunset and dolphins and tried to make pretty girls laugh and played Mario Kart and spent some time with dear friends and overall had a brilliant time. It was such a great time that I just wrote a run-on sentence. My elementary school teachers would cringe if they read this. Venice, I’ll see you again in a few weeks. Wow. 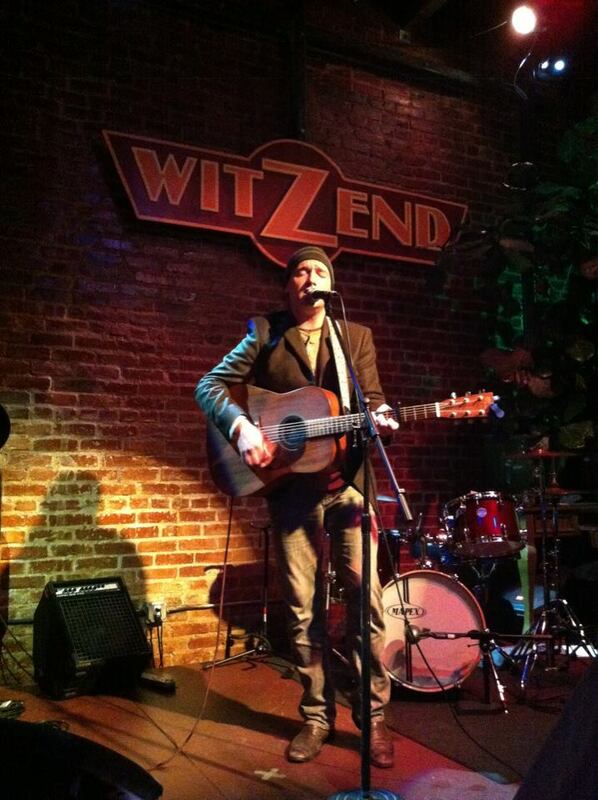 I had a great time singing at Witzend in Venice last night, it’s my favorite venue in Los Angeles. And it just feels good to be home for a minute! Fortunately for me, Seattle also has some lovely sunsets. Well, I’m going to go back out now and see what other bits of loveliness are hiding around this city. Don’t worry dearest Venice, I haven’t forgotten about you! I’ll be back home soon. 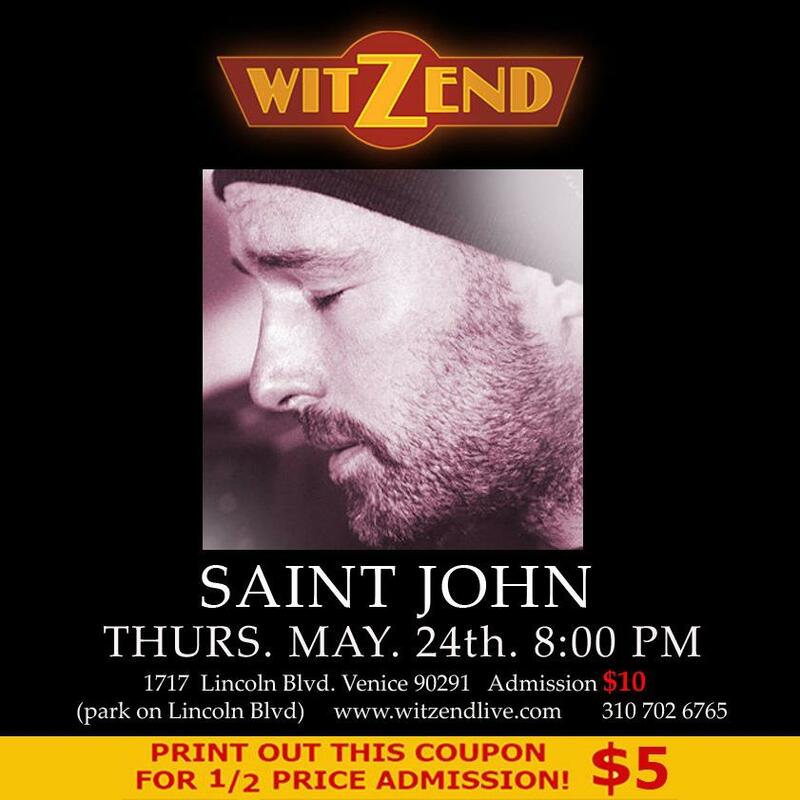 Join me this Wednesday at this super cool new spot in Venice called WitZend. The vibe and sound of the room are really nice and I really dig playing there. Send me a note telling me you’re coming and I’ll put you on the guest list. Cheers! Show in Venice this Saturday (Oct 1)!!! We’re playing some rock-and-roll tomorrow night (Sat, Oct 1) at a super cool new spot in Venice called WitZend. It’s a grey day here in Venice CA, it kind of reminds me of Vancouver BC weather. Except that here, unlike Vancouver, there are no idiots rioting over a hockey game. I’m all for a good bloodless riot, but aren’t there plenty of worthier things to get violently upset about? There are children starving all over the world, you’re getting screwed by a global capitalist ponzi scheme, and your government is constantly lying to you. But these people decide to get upset because their sports team doesn’t get to take home the big metal cup? We probably need to reexamine our priorities. It was a nice surprise to be walking down a street in Venice Beach CA and see a large Vancouver Canucks sticker in a shop window. I don’t follow hockey much anymore, but having your home team in the Stanley Cup finals is still pretty cool. It’s even better when it’s sunny and warm where you are and you’re walking around in flip-flop sandals. Luca and I met up tonight and rehearsed for a few hours and discussed our audition schedule. We’re auditioning for bass players, keyboardists, and cellists, send me a note if you’re interested in coming around and jamming. Sometimes it’s a little bit fun, and sometimes it’s a lot of fun, it’s kind of up to you. I met up with some really good musician friends tonight and they just finished up recording their record. I’m cheerfully jealous of them. Don’t worry, we’ll have our record done by 2049, your grandkids will love it. 2AM Chinese food saved my life. I’m missing some of the food up in Seattle though, flamed cheese at the Greek restaurant in Ballard was probably my favourite. I’ll be back in a couple of months for it, and maybe even some more work. Well, I’ve been a lazy guest at this party and should rejoin them. G’night my dears!